Lentil meatballs are just as good as "real" meatballs, but they have the added bonus of being nutrient-rich and just as yummy. 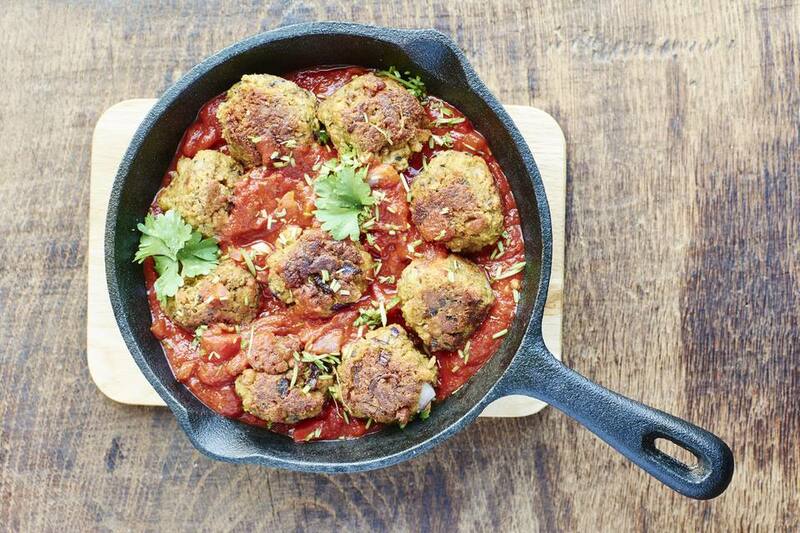 This vegan recipe for lentil meatballs is not only dairy-free but egg-free as well. The use of gluten-free flour adds yet another layer of protection if you are on a restrictive diet. While there are a number of different vegan meatball recipes that use other ingredients, such as chickpeas, brown rice, cauliflower, tofu, tempeh, and seitan to name a few. This recipe keeps it simple making the meatball out of mushrooms, flax seeds, lentils and gluten-free powder. In a medium-large pot, combine the lentils, vegetable stock, onions, and garlic and bring to a boil. Turn down the heat, and let the lentils simmer, covered, for about 20-25 minutes, or until very soft. Remove from heat and mash well with a potato masher or fork. Meanwhile, heat the olive oil in a small skillet over medium-high heat. Add the mushrooms and thyme and saute until the mushrooms are very soft, about 4-6 minutes. In a food processor or blender, combine half of the lentil mixture with the mushrooms, ground flax seeds, and nutritional yeast and process until smooth. Add the processed mixture to the remaining lentil mixture and mix with a wooden spoon until combined. Gradually stir in the sorghum flour or rice flour, one tablespoon at a time, until the mixture holds together. Allow the mixture to reach room temperature before forming into balls. Cook the lentil balls. Heat a small amount of oil in a heavy-bottomed skillet over medium-high heat. Add the lentil balls to the hot oil, cooking only as many at a time as will fit without touching one another. Cook, flipping the lentil balls to brown them on all sides until they’re golden brown, about 4 minutes. Repeat until all of the lentil balls are cooked. When gradually adding the gluten-free flour, just add enough so that the mixture holds together. While some people prefer to cook their meatballs through in the sauce of their choice, these really work infinitely better when they are first seared or lightly sauteed in a pan, as it will keep them from falling apart. The lentil meatball mixture can be made up to one day in advance and then formed into balls and cooked. These vegan meatballs made with lentils are easy to prepare and can be enjoyed in a variety of ways: over spaghetti with store-bought or homemade sauce, on dairy-free sandwich bread as a meatless meatball sub, in a wrap, or just on their own.